We have one handicapped accessible carriage which will accommodate one to two wheelchairs or one motorized scooter or one power chair, plus eight to ten other passengers on seats. Reservations for the handicapped accessible carriage ONLY are requested at least 48 hours in advance by calling our business office Monday-Saturday between 9:00 AM and 4:30 PM or you may email us your requests. 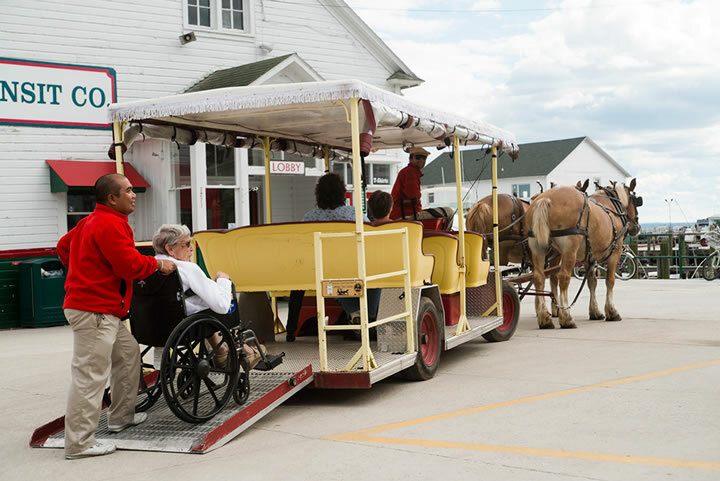 Reservations are NOT accepted for the public tour – only for the handicapped accessible carriage. Reservation requests are subject to availability depending on previous reservations. We will make every attempt to accommodate your needs.